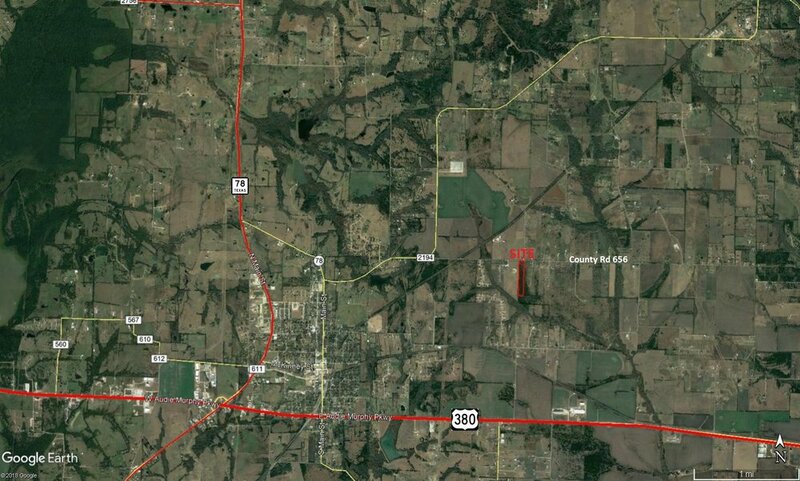 The property is situated within a mile and a half of U.S. 380 and two and a half miles of S.H. 78 in the unincorporated area just northeast of the City of Farmersville. The location is highly accessible being less than a mile from Farm to Market Road 2194. Partially in the ETJ of Farmerville and partially just in Collin County. No deed restrictions, no flood plain and no rollback taxes. ideal for home site, business use, investment, etc.